When you are looking for information on the web and you find an article in Wikipedia, you probably expect the article to include some representative illustration of the subject. In fact, often the web browser already displays an image before you enter Wikipedia. If the item is a biography, you expect to find a portrait of the person. 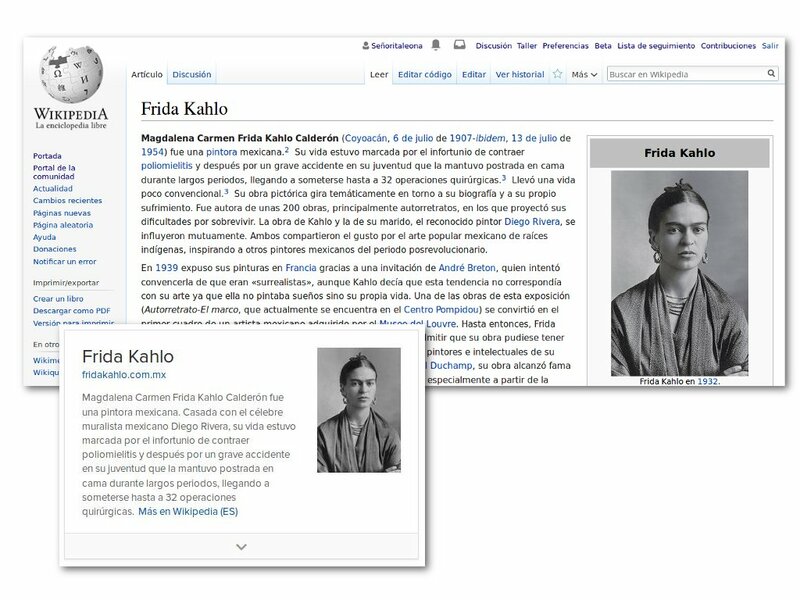 Frida Kahlo: Duck Duck Go – Wikipedia. But what happens when there is no image? Could it be that this person is not important enough to be portrayed? In traditional dictionaries of biographies, we only saw the faces of the most prominent people according to the judgement of a handful of editors. And most of those faces were male (like the editors who selected them). Very few women even appeared in those dictionaries, let alone their faces. Try to look at one of those old volumes in a library near you: how many pages do you have to go through until you find a woman’s face? Encyclopedia Britannica Concise, image from Internet Archive. In Wikipedia this problem still exists. Although it is a collaborative encyclopedia that aims to bring together the sum of all human knowledge, there is still a gender gap that makes relevant historical and contemporary women underrepresented. 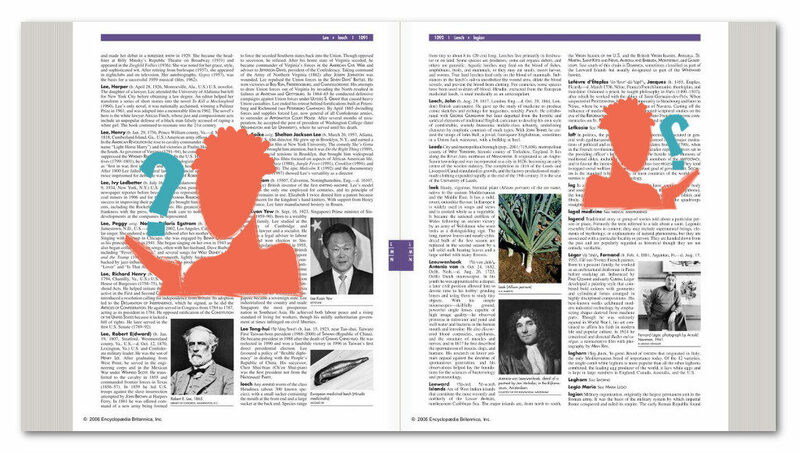 Many biographies of notable women do not exist or are incomplete, and one of the main difficulties is the lack of images that represent them. The advantage of Wikipedia is that anyone can edit it and help fix this problem. But still, things are not so simple. It’s not just about doing a Google search, taking the first image you find and adding it to Wikipedia. I’ll tell you a story so you understand better what I’m talking about. In March 2017 I participated in a Wikipedia in Spanish editathon about Uruguayan women biographies. I decided to create the article on Mariana Mota, a judge who played a very important role in the investigation of crimes against humanity committed by the military dictatorship of the 70s. So I searched online bibliographies and managed to gather enough material to start a reasonably well-documented article. Due to the relevant cases in which this judge worked, condemning a former president of a de facto government, there is enough information about her on the Internet. Mariana Mota has been interviewed and photographed many times. I used the material for the references and quoted some phrases from interviews, but I could not use any of the many press photos I found. All those photos were restricted by copyright, which is most common on the web, since copyright is the “default” status of all the material that is published. But Wikipedia is a free encyclopedia and, therefore, we can only include free content in it. The editors agree that our contributions are shared with the world under the Creative Commons Attribution-ShareAlike 3.0 License. We can quote texts in a reasonable amount, but, beyond this, we can not reproduce content created by other people without authorization. When we add to Wikipedia a photo of which we are not authors, it must be referenced to a source and must have a free license or be in public domain. Thus, all the content of Wikipedia remains free. Mariana Mota. Image CC BY-SA 4.0 by MediaRed on Wikimedia Commons. Continuing with my story, during the editathon I could not find a freely licensed photo of Mariana Mota and I began to think about taking the photo myself. In those days, the judge, who had been removed from cases of human rights violations, was not making public appearances, and it was difficult to find an opportunity to take a new picture. A few months passed until, on August 30, 2017, she was present at a public event, a few days after being appointed member of the Board of the National Institute of Human Rights. A group of media activists from Uruguay, called MediaRed, was present making a photographic coverage of the event. I knew that this group had an affinity with free culture, as well as a commitment to human rights and feminist causes. Then I contacted and asked them to release a photo of Mariana Mota to illustrate Wikipedia. So, they create an account on Wikimedia Commons and license the photo. In a few moments we were already illustrating the article, which is now more complete and visible. I could not imagine at that time that, months later, I would face the same challenge at a global level, when I joined the Whose Knowledge? team in the project #VisibleWikiWomen. And the challenge is great, because there are many women who, despite their contributions to society, still don’t have their images freely available on the Internet. Some may not have appeared in public for some time or they have already died and it is necessary to ask their relatives for their pictures. Others might have portraits that are already in the public domain but their images live in archives that are not digitized yet. Fortunately we are not alone in this challenge. Other projects such as Art+Feminism, Women in Red, WikiProject Women Scientists, the Editatonas program in Mexico, user groups such as Wikimujeres and Latin American Women in Wikimedia, and many editors of different Wikimedia projects are collaborating to reduce the gender gap. There are also many cultural organizations and media, as well as feminist collectives, that already practice free licensing, or are interested in starting to do so. That’s why in March we invite everyone to join the challenge of making visible the faces of women in Wikipedia and the broader Internet, because it helps their contributions being recognized and valued by society. Let’s share photos and illustrations that anyone can use, as free as is Wikipedia itself. Our mission is to encourage as many people as possible to participate, provide help, guide whoever has questions and, in general, explain the importance of this challenge. In future posts we will tell you more about how you can get involved! The Journey through our #VisibleWikiWomen campaign: 10 times our imagined impact! 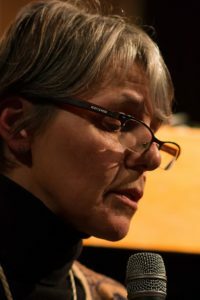 Mariana Fossatti is Coordinator of our 2019 #VisibleWikiWomen Campaign.